And I’m going to try something a little different. This post is going to be your Hub for all things week 2 of the Greek Life Event. I’m going to leave this post sticky’d to the top of the page. So if you have a question/comment/concern/tip to share about Week 2 of Greek Life, this is the place to do it. We’re still going to post all of the usual info, but whenever we add something I’ll add a link in the post below. So this post will continue to be your Hub for all things Week 2. Make sense? I hope so! Let’s dive in with the FAQs…. These FAQs come straight to us from TinyCo…. How do I begin the second phase of Greek Life? 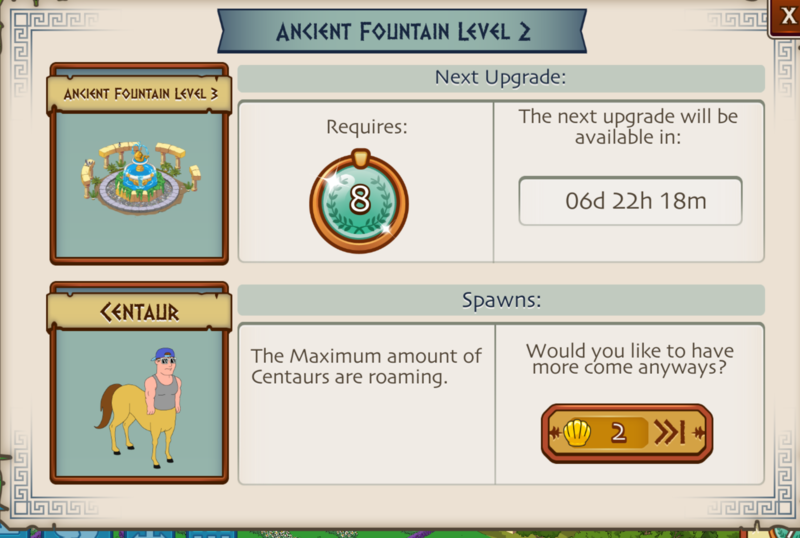 You will need to upgrade the Fountain and complete Greek Week Pt. 9 before you can begin the second phase of Greek Life. When do Minotaurs begin appearing? Minotaurs will begin appearing once you reach Give It Up to the Gods Pt. 1 (the main quest line for phase 2). How do I clear Minotaurs? You will need 1 Soul Spell to create a Soul Offering at the Campus Altar. Soul Offerings will take 1 hour and 15 minutes to craft. After you have crafted a Soul Offering, place it in the path of a Minotaur to clear it. The area that the Soul Offering covers will be shown with a green circle. If a Minotaur enters this circle, it will turn purple. Tap the checkmark to shoot the Minotaur while it is purple to clear it. How do I unlock Hades? Hades is available at the University Store. You will have 7 days to purchase him after viewing the University Store in phase 2, or he will disappear from the game at that time. How do I make offerings to Hades? Craft Soul Offerings at the Campus Altar to appease Hades. Once you have collected enough Soul Offerings, tap the “offer” button to make an offering to Hades. Each time an offering is made, your streak counter will increase and you will earn greater rewards. You will have 36 hours to appease him by making 4 offerings. If his 36 hour timer reaches 0 before he is appeased, your streak will be reset. How do I unlock Tri-Bri? Tri-Bri is available until Thursday, June 9 at 10 AM, PDT. If he is not completely unlocked, he will disappear from the game at that time. If he is unlocked before the event ends, you will be able to continue his quests after the event has ended. How do I get Chronos? Chronos is available in the shop for 260 clams. He will be available for purchase until Thursday, June 9 at 10 AM, PDT. When does the Leaderboard end? The Leaderboard will last through Thursday, June 9 at 10 AM, PDT. When do I get my Leaderboard prize? Prizes will be awarded 4 to 7 days after the end of Greek Life. Why am I not able to see my Leaderboard rank yet? Leaderboards will be live soon, but in the meantime players can begin earning Styx Coins and contributing to their rank. How do I climb the Leaderboard? To climb the Leaderboard, earn as many Styx Coins as you can! 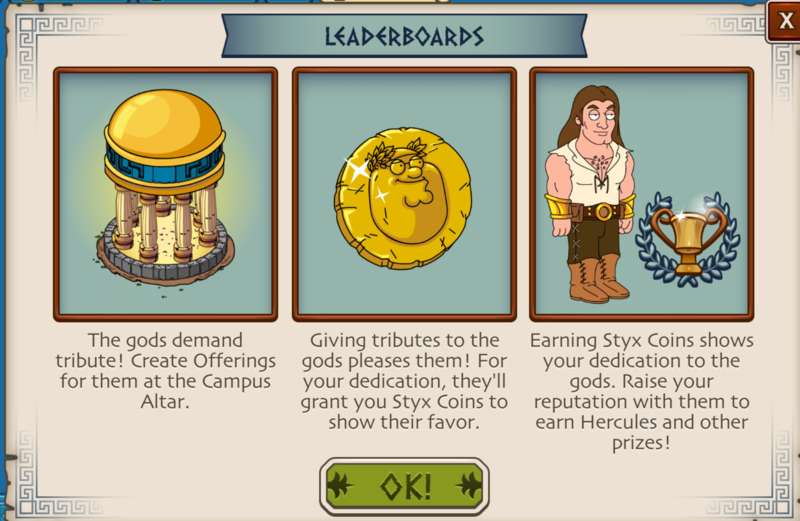 You can earn Styx Coins by making offerings to the gods and from the Hades character. What are the Leaderboard prizes? The tier 1 prize will be the Hercules character. We will be revealing the prizes for the remaining tiers as the event progresses. I’m qualified for a high prize tier. Do I get the lower tier prizes too? Yes! Players will receive prizes awarded to tiers lower than their own in addition to the prize tier that they qualify for. Why do I have a silly name on the Leaderboard? Everyone has a silly name! Use it to keep track of your Leaderboard rank. Can I change my silly name on the Leaderboard? Silly names are permanent for the duration of the Leaderboard. How do I report someone I suspect of cheating? We are employing several anti-cheat tools to keep the Leaderboard fun and fair for all players. To do this, we use a combination of automatic detection and human oversight. If you are concerned about another player, please contact us via the in-game support feature with a screenshot of your Leaderboard, and we’ll take a look. Thoughts on week 2? Liking the additions? Thoughts on the Leaderboards returning? Sound of below.. 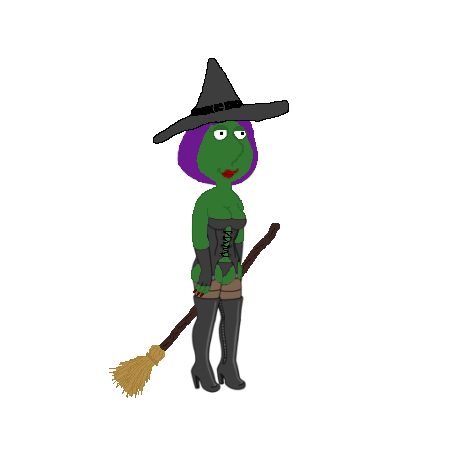 This entry was posted in Buildings, Characters, Decorations, Game Play, Special Event, Tips and Tricks, Updates and tagged Family Guy Addicts, Family Guy Game, Family Guy Greek Life Week 2, Family Guy The Quest For Stuff, Family Guy Tips and Tricks, Greek Life Event. Bookmark the permalink. I noticed there are so many SIDE Questlines for the Event that you really need to have your Task Menu cleared to get them all to pop up. 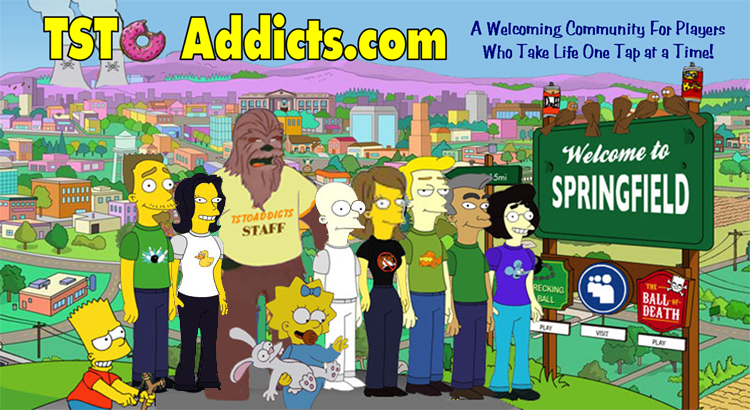 Reboot of Comic Con Characters, Death Family back, etc. My Task list was really bogged down. I just went through… no joke… 13 new Questlines to get back to the Event ones. Lol. As for Week 2 Challenge, I will see if I pulled an image for it. I have 2.5 hours left on hades and 7363. I am so close! But i don’t think I have enough clams to speed me up to the finish line. Any advice? I have ~157 left since I already bought Chronos, Zeus’ Frat, and Palace of Olympus. Should i just let Hades go? Get tribri, the rest of the items, and start on Neptune. Or is there a combo of clams/characters that can get me Hades? Thanks for any advice! Hooray Ricky Gervais dolphin is here. Xena needs to be lvl 3 for task to earn golden crowns! Can do fleeces which is 6 hours at least. Desperately want to know prices of stuff but scared of timer, anyone? And Stewie now has 2 tasks for ambrosia. A 4he and a 10hr. 8000 ambrosia for Hades – seriously, I’ve barely got 4000 and it’s last day to get him.. Did I miss something about what was best way for freemium players to have ANY chance at all in gathering that many?! No. I’m afraid TC slipped up again by A) not labeling Hades as ‘Frickin’ Hard’ B) not allowing/having enough ways to earn Ambrosia C) not decreasing clam costs as materials are earned toward certain characters/items in the University Store like they do in Al’s shop or during other events when earning stuff to unlock a character. I just got to 5,000 Ambrosia playing constantly and setting alarms through the night to re-task characters. I haven’t unlocked Tri-Bri either (did you notice HIS clam cost incrementally decreased as you earned his stuff!? ), but didn’t know if I should wait bc I still have two days left on Hades’ timer. Prob just gonna skip getting him bc it seems impossible really as a freemium player. Really wish they had simply labeled him. I’m ready to start phase three, but may stall a few hours since I likely won’t be able to earn Neptune either….we shall see! IMO, skip Hades cuz his task for dropping leaderboard coins prob takes 8-10 hours to drop two anyway, lol. Anyone know for sure? Unlike many, I got my last awful script last night, but I need over 1,000 ambrosia. Now I have serious buyers remorse over buying Zeus, especially when TC “helped” last week with the offering re-spawn, as I might not have bothered (did it for scrolls). So, maybe sometime this weekend. I call BS on that! Now I’m stuck because I need Tri Bro to advance the story. Same thing happened to me last event when I was stuck on Phase 2 cause after 4 weeks of trying, I still couldn’t get Peters Acpocoypse outfit which was required to advance the story. Same here, still need 4 more. I am also nowhere near to get hades. Seems that the events are becoming more unrealistic in being able to accomplish. I also dont see how some peopl have an absurd amount of coins in the leaderboards. Why is TinyCo not looking into this. FYI not sure if this had been mentioned or been discovered but Neptune (Temple of Neptune) is Roman mythology where Zeus, Athena, and Hades are Greek mythology. Should be Poseidon instead of Neptune. I have a feeling that this is going to be brought up at some point during Phase 3’s main questline, with some sort of joke. It does and they do. Just wanted to say kudos to the moderators for being able to keep calm while answering the EXAXT same questions over and over and over again. I don’t see how you have the patience to deal with these people who not only don’t ready the post they are commenting on but don’t bother to read any of the comment responses that clearly state time and time again what they need to do, they just complain and blame TC for their own ignorance…. so as someone who uses this site for info, thank you from all of us that can read. Thanks to the person who said I needed to buy Hades kitchen. I finally have an offer timer showing over Hades. I had been trying to save up for something else. You have to buy Hades kitchen anyway as part of the questline. Anyone having trouble with getting scripts for TriBri? I have Jerome going constantly since week 2 started and still have not received 1. I even added Chris in a few times and still nothing. I hear I need TriBri to finish the quest line and if that is the case I’m worried I will be stuck on week 2 for the rest of the event (based off the non existent drop rate I am receiving now). Yes, you can’t get past Part 8 without tri-bri. But you won’t be alone stuck in Phase 2…. Can anyone explain to me how anyone can have over 1500 Styx coins already? One person has nearly 3000 on my leader board.?? I play pretty constantly and yes I do pay to play about £30 a month which I treat as fairly cheap entertainment considering the hours I play. But I can’t get even close ( just over 100 so far ) I maybe lucky and sneak onto the back end of the leader board if I try extremely hard, but somehow I don’t feel we are on a even playing field. I quit worrying about those people and only focus on keeping my rank in the top tier. Those that want to spend money just to be #1 can have at it. As long as I’m in the top 5000 we’re all getting the same prize. High placement means nothing. the same soul offerings as i am using to clear the minotaurs, right? ok, so once i have those, where do i take them to offer them to hades? tapping the hades alter next to zeus’ alter doesnt bring a menu up, no offer button appears, just a name tag as one would expect for a decoration WHY IS NO ONE ADDRESSING THIS ISSUE? others have asked how to make offerings to hades but no one has given a response. please help! Have you reached Give It Up To The Gods Pt. 4? It seems Tiny Co have decreased the respawn timer for the cool down period on the Gods, for both Hades and Zeus I’ve seen them both reappear between 2-3 hours after the timer ran out / when I’ve beat them. Guess I’m stuck… I will not be able to complete Hades with the 8000 ambrosia and therefore I guess I will not be able to offer to him to do the second part of the grand prize quest. Hades character you unlock is different from Hades you make offerings to so you can complete the challenge. Hades in the the store and the Hades you offer to are different. To offer to Hades you must be at give it up to the gods pt. 4. I was lucky to get Bertram (if I had more patience I would have cashed in all my GPL for more dilithium ore, maybe would have gotten borg rupert as well? ), and I’m also really fortunate I got Zeus. That was awesome. 8000 ambrosia for Hades? wow that’s a lot, I probably won’t be able to get him. Took forever to amass < 2000 just to get Zeus and Peter's skin. I don’t think its even possible with having spent some cash on ambrosia fountains. I’ve spent the entirety of week 2 trying to get him and I’m less than halfway there. Bones now increase exponentially like apples when you defeated Hades! Payout is 1-2-3-4. Unless the store actually says “always”, the drop rate for a building will be the same as indicated for character tasks. So it’s like adding another character task (or two, when it’s a double drop). Anyone open the weekly challenge quest for the chimera yet? Wondering what the tasks are. Yeah, I have it unlocked. It’s Appease Zeus 3x, Appease Hades 3x. I have this but can’t offer Hades anything as he never appears. Only ever get Zeus. Ah… figured this out. I had to reach Give It Up To The Gods Pt.3 for Hades to appear, which meant buying the Hades Kitchen and starting the University Store 7 day timer for Hades character. So I’ve given up trying to collect his 8000 ambrosia and gone for it; still needed nearly 5500 more ambrosia anyway which was going to take far too long and be a really boring grind! You need to get to ‘Give It Up To the Gods’ Part 4 to unlock Hades. The weekly challenge will appear whether he is available or not. I kinda agree with wax monster x on the 2’hour drops for tri bri, 5 days consistent with jerome and chris. Im getting at least 7 x 2= 14 attempts a day( have to sleep at some point) 14x at least 4 straight days= 56 attempts, i have 3……meh. the top leader on the board was 750 this morning now is 1499…….how in the heck did that happen?????? I’ve only managed 54 playing non stop(except sleep, i have no job thats why and how). Are these people(alot of them)spending thousands of dollars on clams???? hence back to wax monsters money hungry cash grabbing comment for tiny co.??? When the game first started it was fun and an equal playing field, now it seems like 2 freemium items for 10 clam items. I’m beginning to think that all the money tiny co is making has gone to thier heads. It’s pretty much a premium game now, and just a demo for freemium players. I don’t see a way for me to get 8000 Ambrosia for Hades is possible. The drop numbers from Zeus and Hades are so low. At 4x the Ambrosia isn’t over 100. We use to get 5x that from past payouts. I’ve been saving since the beginning and I’m not even at 3000. I just bought the stuff needed to get Zeus while this week I’ve only bought Hades House. All the rest of the time I’ve been working on getting the Apples for Hades through Zeus. I’m almost done with that currently at 23/25 and 6/10 Fleece. I’m sure I’ll get the Fleece, but getting 5000 Ambrosia in 3 days isn’t possible unless TinyCo re-configures the pay outs for Zeus and Hades. I’m in the same boat.. Have a little more than 2 days left on Hades timer, at 25/25 apples 9/10 fleece but stuck at only 2200/8000 ambrosia. It’s not gonna happen… I feel cheated by TinyCo on this one… They’ve made it an impossible task unless you spend $$$. And on that point the clam cost for Hades is absurd, 1800 clams cost ($50+) that never decreases the closers you are to unlocking it. Insanity! Minotaurs- very rarely drop fleece, even worse. Awful Scripts for Tri-Bri. I have had Jerome & Chris hit this every 2 hours for 5 days without 1 Script drop. Do the math! If that ain’t enough for your to finally abandon this money grubbing game I don’t what is. Don’t all the events seem alike with just different skins. Leaderboards, Ech. And lastly 5,000,000 coins and nothing to do with them. Meh. 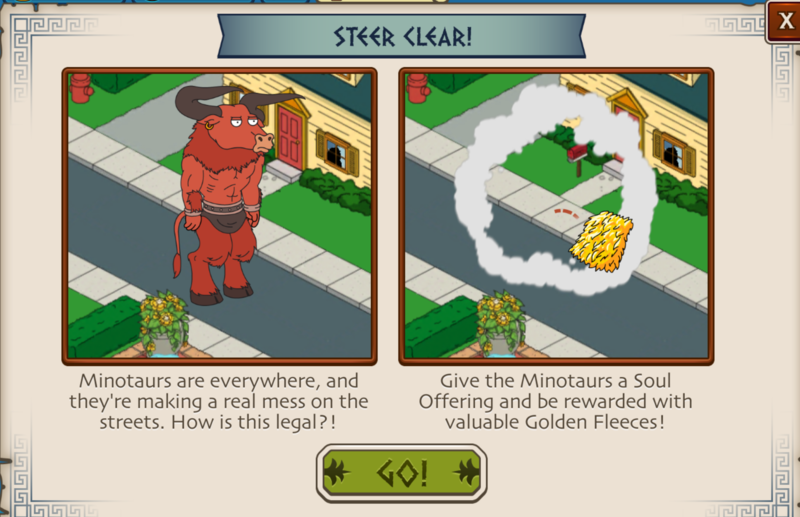 I’ve noticed in my game that the Fleece icon doesn’t visually appear when I remove a Minotaur, but I see it register when the game calculates it through the meter. I thought I wasn’t getting any for a long time, but when I checked to see the amount of Apples I had I was surprised to see I had 5 Fleece when I thought I had none. So check to see where you’re really at through the University by looking at the cost of something. is there a post showing what characters drop Ambrosia? I wish the leaderboard would update, it hasn’t changed once since it went live so there’s no way to tell where you actually rank. And b) my name isn’t on the leader board at all even though I am now above 40 coins, which is at the tier one cutoff. Previous boards had the fake names, but your spot was still either highlighted or your real name and FB pic were still visible. I’d rather they do away with them all together, but at least the tier size seems more reasonable. Doesn’t look like the cheating filter is working, though, unless I’m missing a way to earn coins fast besides speeding up with clams. I could see a couple of hundred by now, but 750, or 500? Once you hit x4 once, they despawn, so there’s no way to keep hitting big multipliers until their timer runs out this time. Just just checked the Leader Board after updating the game and it updated for me. How do I know which silly name is mine on the leaderboard? The game should go right to it and be highlighted. If it doesn’t do that then you’re not in the top 5000. The leader board currently doesn’t show information to the lower tiers. I guess I will just miss out on the leaderboard prize as well now, even though judging by previous leaderboards, I have only gotten the lowest tier prize anyway. So I got the “banned player” message during the star trek phase 2 event, and I challenged them on it, since like you, I not only haven’t cheated, I don’t even know how one would. Their response gave me some idea of the flawed algorithm that they are using. They stated that I had x clams worth of characters (don’t remember the exact number now) but had not spent that many clams, and because of that I had been banned for cheating. Now, I haven’t bought any clams from them, but I’ve gotten a ton of clams from watching videos, and have spent a lot of those. Still, I know I haven’t spent x clams on characters even including those free clams. This leads me to believe that their system is counting the purchase price of characters that could previously have been won from events (such as Cleveland, who had been free in the first event, and later offered for I think 300 clams, was being counted as “300 clams worth of characters” on my account) in their total. Seeing as I’ve played a lot and won most of what is feasible for a freemium player to win in the events, and a lot of these prize characters were later available for purchase, that would explain this disparity in clam-spending vs what I have. Which also means it is a truly terrible algorithm that they’re using to determine “cheaters” if it flags people who have been legitimately playing the game for a long time as cheaters. And unless you give them a serious cash infusion, they will never actually look into it (which they stated they would look closer, but they never did). The game can be fun, but their customer service folks and those who design their “anti-cheat” measures are awful, awful people. Rob, I too am a victim of the cheating slur. I have never cheated. At least you got a response telling you what they are thinking. I am a freemium player, and was not given my leaderboard prize after Startrek event #2. I have written to them in game over 25 times, yet not one response from them as to why I didnt get my prize, no indication of anything I did wrong. I never got any response – I was totally ignored. Then with this event, the leader board says I am blocked. This is ridiculous. I put the time to play and enjoy the game, working hard to get as far as I can, and then no matter how I contacted TinyCo I was ignored. They never told me why I didnt get my prize, the first I heard about cheating is when I was blocked now. It isn’t that the prize is so important, but the fact that you are accused, tried, and hung, without being told what I was accused of, and then ignored as I try to contact them really is what gets under my skin. Bunny and Alissa do a great job on this site, I only wish TinyCo would be smarter about how they treat their clients – the players – and not leave things up to third party sites like this one to explain things that they should be addressing. I have always been supportive of them, sending in bugs I located of giving suggestions, both to TinyCo, and on this site. To be paid back this this is just a slap. You can accuse me, but to ignore me when I am innocent … it is insulting. If they at least had a dialog with me about the problem, I wouldn’t me so upset. I completely agree. I don’t cheat, haven’t cheated, would never cheat, couldn’t even enjoy the game if I cheated – what would be the point? They banned me for buying lots of pod plants during the Star Trek 2 event. Why wouldn’t anyone do that, it got me a good position on the leaderboard and there was nothing else to spend the huge surplus of event currency on anyway. Their cheat detection system is stupid, broken and one of the reasons they’ve ensured I’ll never spend a penny on this game. They withheld my prizes and still haven’t provided a single response to any of my messages about the wrongful ban. Has anyone gotten the rollocop questline for joe? Anyone have any info on it? I have and I’ve been wondering the same thing. To add insult to injury… The friggin’ Minatours have not dropped a single fleece. 6 times I’ve cleared them and all I get are rush points and ambrosia. Is there a definitive list of characters to use during this event? I just found that Herbert has a task that I wasn’t aware of. Is there anyone I should take out of storage or Tan Lines that I can use for items? Adam West has a 12hr task that earns ambrosia, and another one that comes to mind is Herbert who has a 4hr ambrosia earning task, also Rollo Cop Joe has an 8hr task that always earns Dog Collars for Tri-Bri. If I find any others I’ll let you know. If you see a random character that has one task to earn ambrosia, it probably means there will be a quest line phase down the road that will require that task. I’ve just encountered that with several characters, some, like Lois, that has more than one task. It’s available early, but once the quest line needs it, the task goes off the list. It would be hard to make a definitive list when tasks come and go depending on where you are in the quest lines. It would be great if Hades, zues, or anybody else that tinyco decides to put into the university store, as you get enough items the claim count goes down. Why would you want to spend 1800 gold claims and still use your 25 golden apples and golden fleeces you have.?! That’s the spot I’m in. I have the apples and fleece done, but I’m only somewhere between 1500-2000 Ambrosia. I am pretty sure I will get my required apples and fleece. But yes, like you, I am around 1,500 on ambrosia. 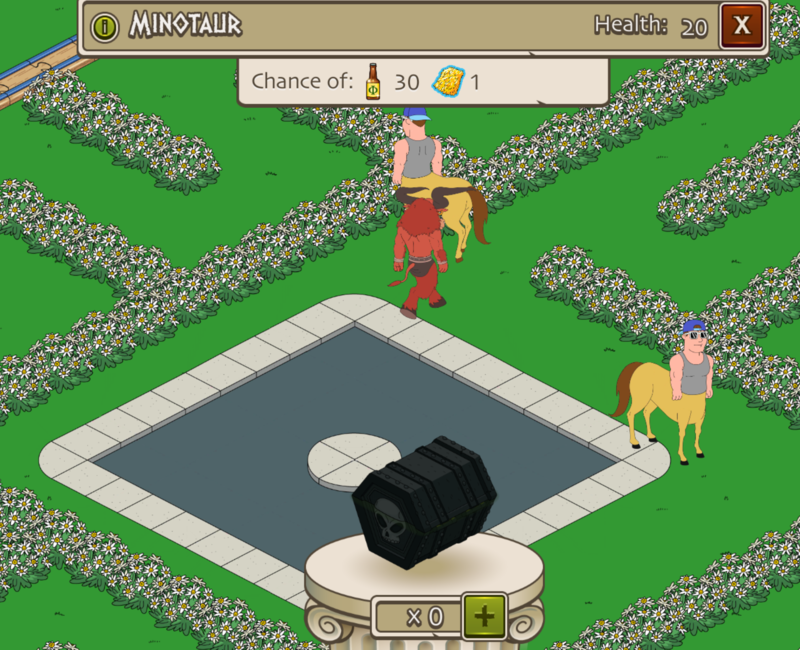 Best payout rate is clearing minotaurs, which yield 30 per beast. This means we need to clear about ~ 220 minotaurs in 4-5 days. Given that we need to also craft soul offering…. no chance at all to meet 8,000 ambrosia for Hades. I am excluding those items we need for the main quest line too. At least for now, I am happy I got Zeus. His dialogue is funny, and able to generate lightning scrolls (2 for every 6 hours). Just not a complete set… hope the rest of the characters would be easier but need more feedback to TinyCo! This blows. Figure I have to do 56 minotaurs a day and that’s impossible because you can’t craft that many in 24 hours. So it’s gonna be impossible to get 8000 ambrosia. I can’t believe they made the return on offerings so low. 8000 is way too high a number. They only wanted $1000 for Zeaus, Hades should’ve been like 5,000 tops. Out of the last 8 minotaurs I destroyed, I only got 1 golden fleece… is that normal??? I’m the same, one for eight. Have messaged TC but no response. Seems we aren’t the only ones…..